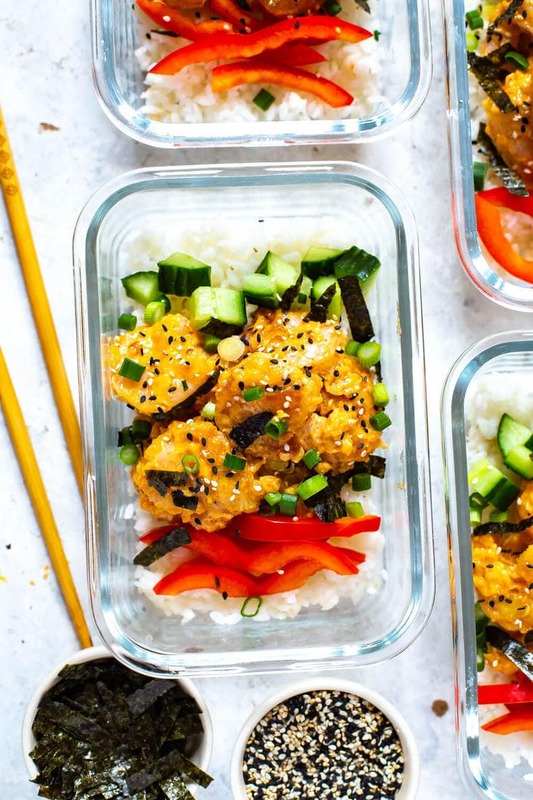 This Meal Prep Dynamite Shrimp Sushi Bowl is a tasty way to enjoy all the flavours of your fave sushi roll. The dynamite shrimp is just like the popular appetizer from PF Chang's! If you've ever eaten at Applebee's or PF Chang's, you may already know what this delicious Japanese shrimp appetizer is. For those who haven't tasted them, you are in for a treat! Dynamite shrimp are battered, crispy fried shrimp with a spicy Sriracha mayo coating. As an appetizer, they are delicious, but in a sushi bowl, they become extraordinarily good! What can you put in a sushi bowl? A sushi bowl is very much like deconstructed sushi. It has the components of your favorite sushi served in bowl form instead of a roll. Anything you might order from a sushi bar is an option to convert into a sushi bowl! Sushi bowls often have raw fish or seafood, vegetables, rice, and nori (seaweed). 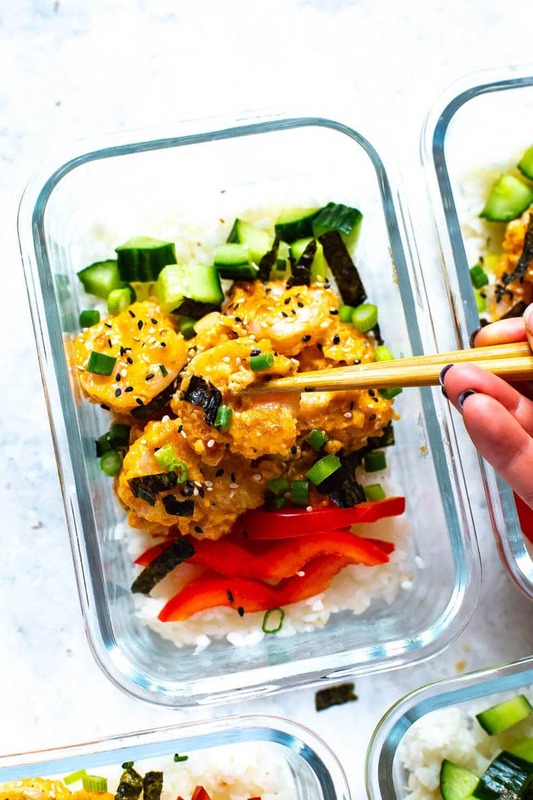 For this Dynamite Shrimp Sushi Bowl, the shrimp is fried rather than raw, making it easy for meal prep and EXTRA tasty! Another popular flavor for sushi bowls is the California roll, using avocado, cucumber, and crab meat. What’s the difference between a poke bowl and a sushi bowl? “Poke” is a Hawaiian term, meaning “to cut or slice”. It refers to the pieces of marinated raw fish in the popular Hawaiian salad. Typically, a poke bowl has yellowfin tuna or ahi as the primary protein, with a soy sauce based dressing. Sushi bowls are similar to poke, but the seafood isn’t always raw. 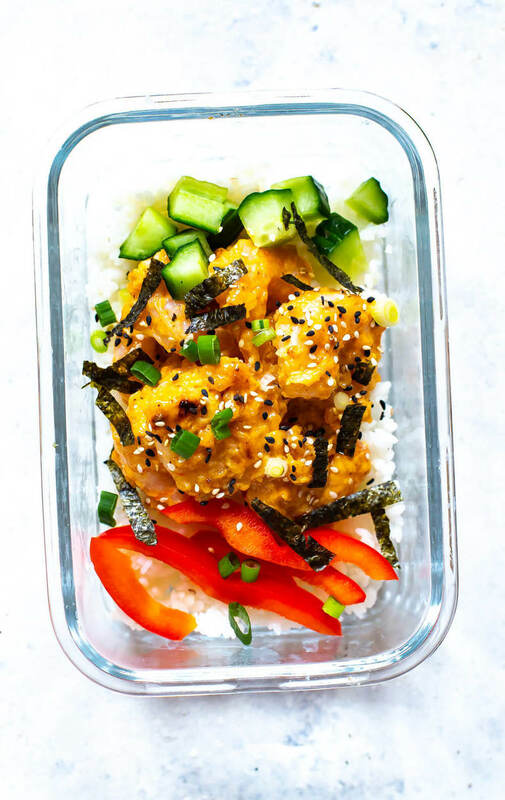 If you want to make poke bowls, try my recipes for Tuna Steak Poke Bowls or Creamy Sriracha Shrimp Poke Bowls! What ingredients are in a Dynamite Shrimp Sushi Bowl? In addition to spicy fried shrimp, the bowls also have cucumber, bell pepper, green onion, strips of nori, and sushi rice. 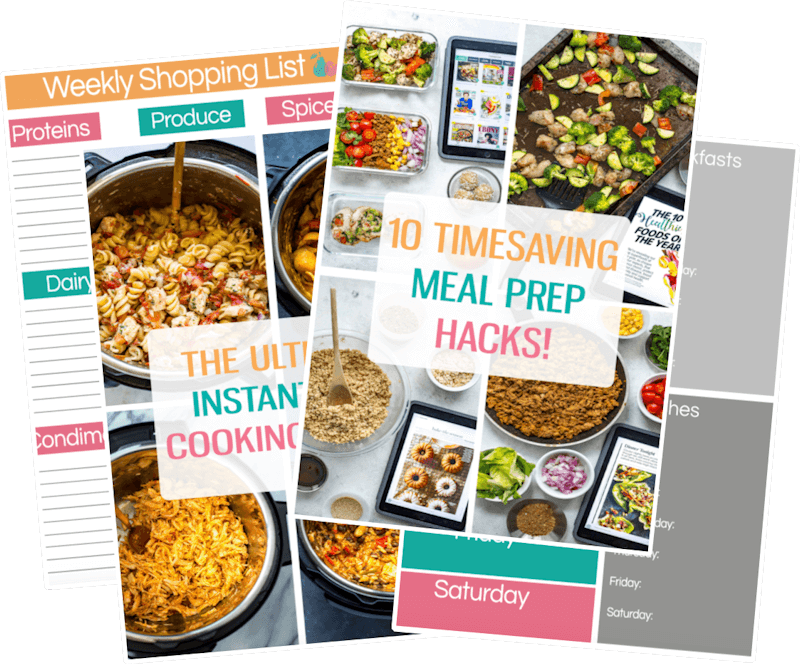 You can feel free to switch up the toppings as you see fit though, so don't be afraid to clear out your vegetable crisper and get creative with the veggies you're using! Edamame would also pack a ton of protein into these bowls and make them super delicious! 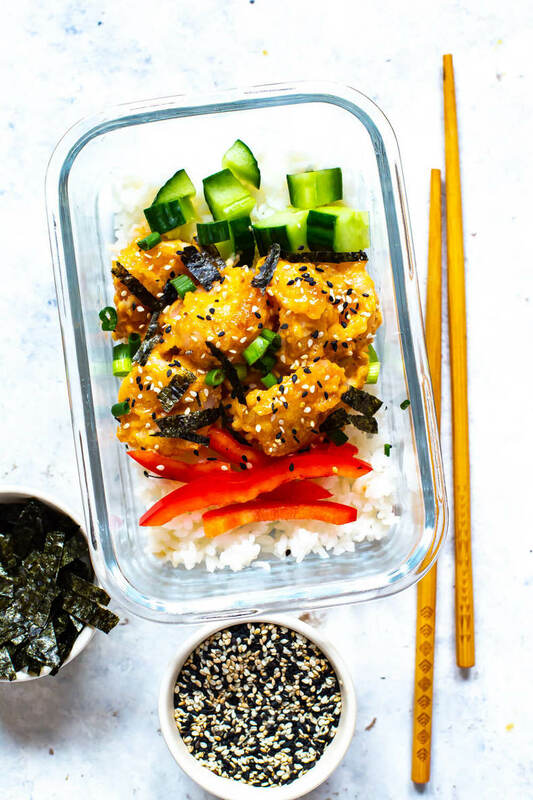 There are two serving options for this delicious Asian dish: in a small bowl or in meal prep containers. 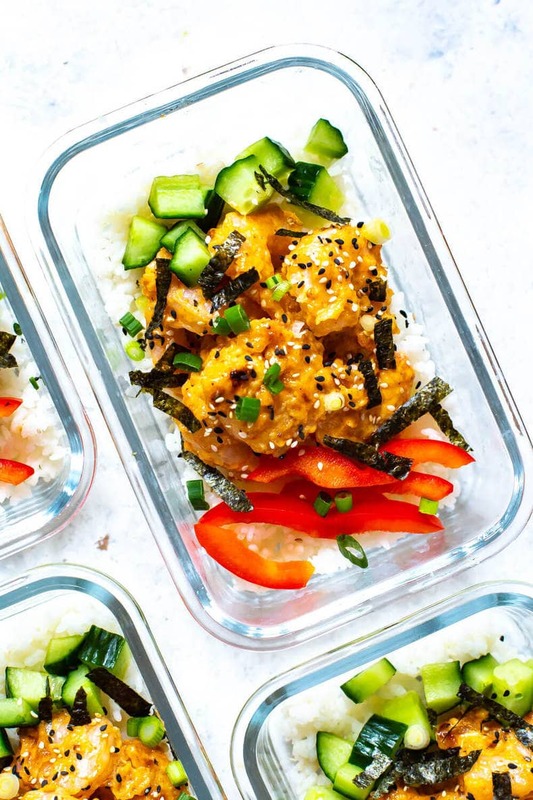 For easier reheating and the ability to pack them as lunches, you should assemble them into meal prep containers. 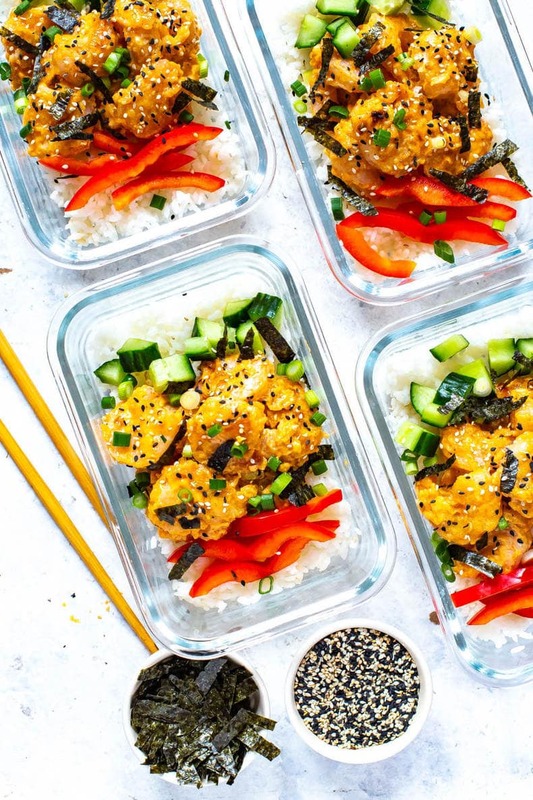 These Dynamite shrimp meal prep bowls are traditional Asian-style sushi bowls, using white sushi rice. For a healthier option, feel free to substitute brown rice for the white. How do you make a Dynamite Shrimp sushi bowl? This recipe is super easy to put together! Cook and refrigerate the sushi rice. You can either cook the rice the day you make the bowls or make it ahead. To save time, cook the rice up to 24 hours before you make the bowls. Just be sure to refrigerate it until you need it. Batter and then fry the shrimp. Because you will need to cook in batches, it will take about 15 minutes to cook all of the shrimp. Mix up the spicy mayo sauce and add the shrimp to it. Toss to coat. 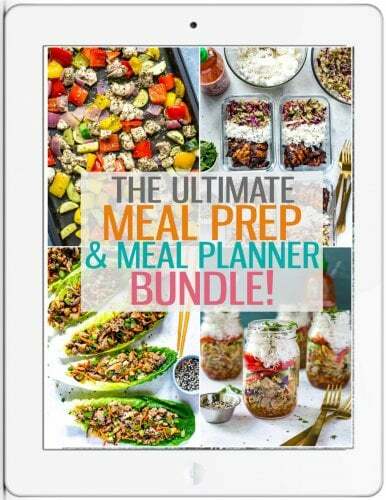 Layer everything into bowls or meal prep containers and serve or refrigerate. They'll last up to 5 days in the fridge! 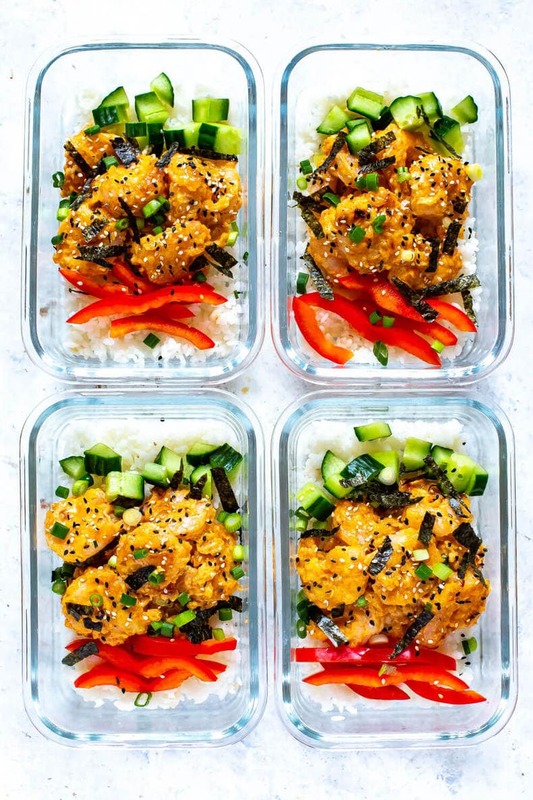 Grab some glass meal prep bowls if you plan on turning these Instant Pot Chicken Thighs into your weekly lunches. I get all my free-range chicken from Butcher Box, conveniently delivered to me frozen. 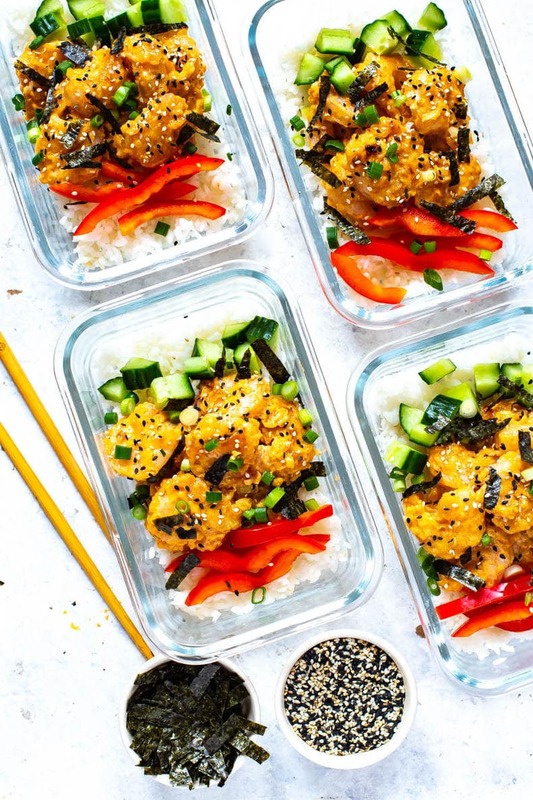 This Meal Prep Dynamite Shrimp Sushi Bowl is a tasty way to enjoy all the flavours of your fave sushi roll - and the dynamite shrimp are just like the appetizer from PF Chang's! Cook sushi rice in a rice cooker (can be made up to 24 hours in advance and kept in the fridge). Preheat olive oil in a large frying pan over med-high heat. Add egg and flour to two small bowls. Toss shrimp in egg then in flour in batches and add to frying pan, cooking for 1-2 minutes each side until crispy and shrimp are fully cooked. Transfer to a paper towel-lined plate and let cool 2-3 minutes. Meanwhile, mix together ingredients for Dynamite shrimp sauce in a large bowl. Add shrimp and toss to coat. 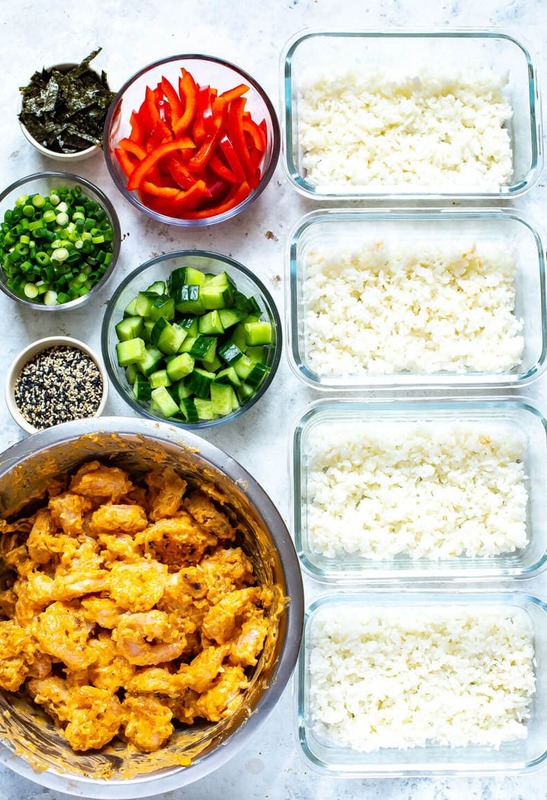 Add rice, shrimp, veggies and garnishes to meal prep bowls and store in the fridge up to 5 days. Serve and enjoy! It’s temporarily disabled Katie, sorry about that! I’m in the middle of getting it fixed – in the meantime you should be able to copy/paste into a blank word Doc and print from there!